A new Catholic Church near 103rd and Cicero! 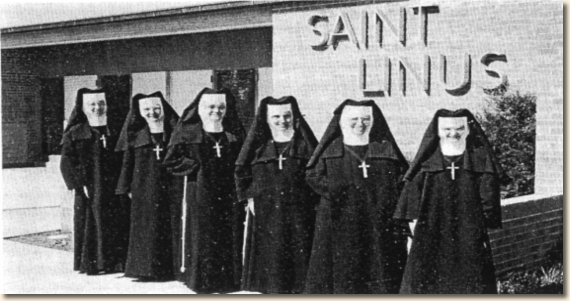 - Back in July 1955, that wonderful news spread quickly through hundreds of Catholic homes in southern Oak Lawn. 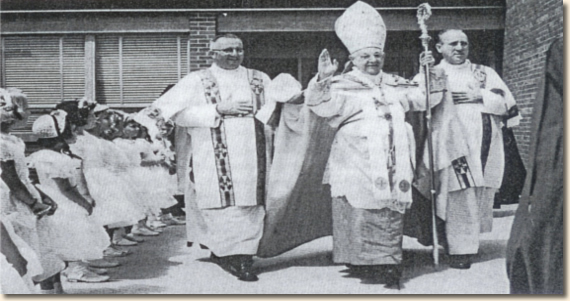 The issue of the New World of July 1, 1955, which carried the exciting news, announced that the Reverend Bernard E. Burns, formerly at Immaculate Conception parish in Highland Park, was appointed to form this new parish. Since that time, many visitors from all parts of the Chicago area have come to view and admire the results of this hard-working combination. In fourteen months a school and a temporary Church stood on what had been a prarie. 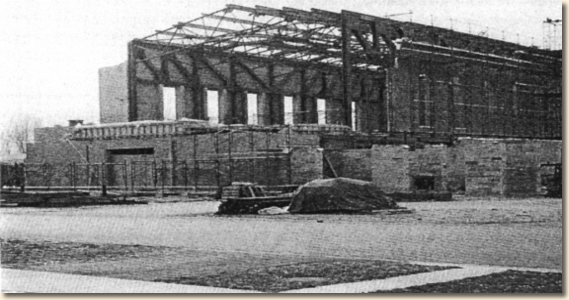 Within two and one-half year construction began on a new Convent and within five years, on a new Church. Even in this era of speed, few events can match this record-making building program. Rather than detail this inspiring story in volume, we will, instead, list the historical higlights of Saint Linus Parish, as these typify the problems and events leading to this dedication. Beauty is simplicity. This is the case in St. Linus Church. Seating 900 plus, this large functional church maintains the majesty and dignity its purpose warrants and perfectly suits the needs of the Parish. Facilities include a "crying" / Reconciliation room, a Perpetual Adoration Chapel, two large sacristies, a choir loft, and a large vestibule. Altars by Daprato follow the line of simplicity. The church tower climbs to a height of 108 feet and a reliable source advises that the Chicago "loop" may be seen from its top on a clear day. 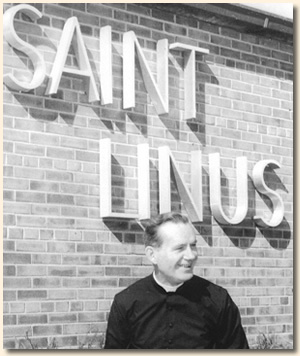 Monsignor John I. Cardiff came to St. Linus Parish in December 1972, as an administrator during the final months of founding pastor, Rev. Bernard Burns, life. 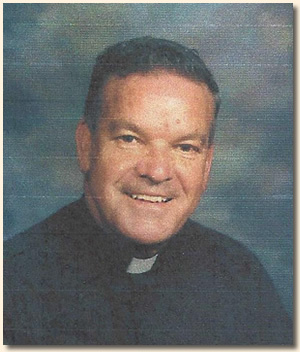 He served as the parish’s second pastor from June 1973 through December 1990. 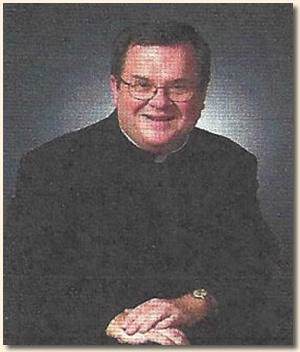 After retirement, he remained at the parish, caring for our community until his death on October 3, 2009. 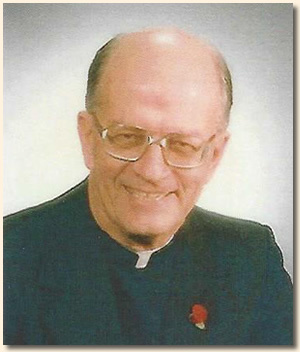 Monsignor was a man of prayer, charity, and action. 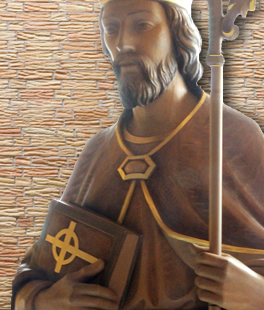 He had a tremendous devotion to the Eucharist and said Mass until he physically could no longer do so. At church, in the adoration Chapel, or in his chair in the rectory where he prayed his daily prayers, he continually was in dialogue with God. Monsignor believed in causes and supported them with his time and money. He was generous to so many who were in need. His faith was an active one. His actions were his truest homilies. In his years here he helped shape our community in marvelous ways. During the Cardiff era, the parish was known for its wonderful “Way Off Broadway” shows which paid off the parish debt, and built up strong bonds of fraternity between parishioners. Life-long friendships were made through this parish-wide community building effort. 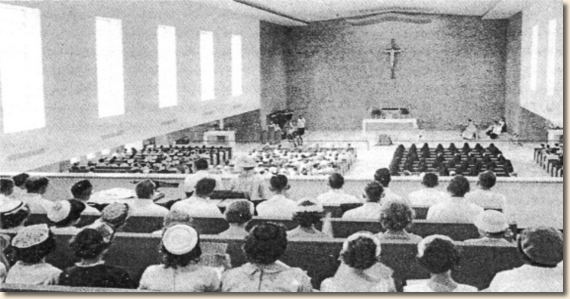 This was also a time when the parish expanded on its community outreach through the St. Vincent De Paul Society, the Pro-Life Committee and to the Courage Program, the Peace and Justice Committee, Christ Renews His Parish groups, the Hope Group for the bereaved, and out-reach and support groups. June 12, 2001, and since that time most generously in retirement. Father Auer is a deeply spiritual man, who at the urging and with the cooperation of parishioners opened a Chapel of Perpetual Adoration in the former north cry-room of the church. 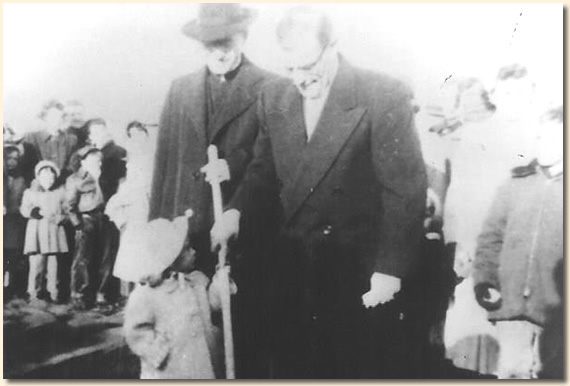 Father Joe’s quiet and patient demeanor led the parish to deepen its spirituality. During these years the fruits of the efforts of earlier groups began to be seen, as the parish remained a lively community. 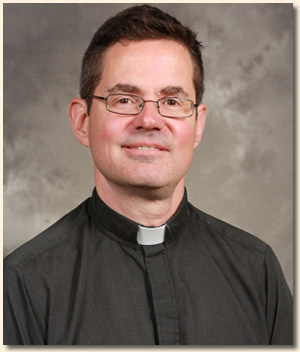 Father William T. Corcoran Ph.D. arrived as St. Linus’ fourth pastor on June 12, 2001, and continues to serve our parish to this day. 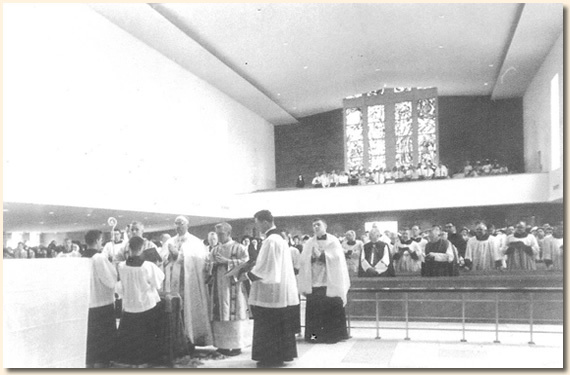 In his first weeks as pastor, he led the parish through the restoration of the interior of the church after the serious electrical fire of September 9, 2001. This restoration project was followed by a rebuilding of the entire brick exterior of the church, and subsequently the construction of the long-dreamed of parish center. During the past decade of his leadership the parish school built upon its strong academic foundation, and in the fall of 2011 was designated by the United States Department of Education as a "Blue Ribbon School for Academic Excellence." Projecting on what has been accomplished in the span of over five decades, our future can be blessed. We should and can harvest much from this parish to which we are privileged to belong. The physical phase of building parish facilities is accomplished. Community bonds are deep and strong. Our parish organizations are active and committed to the parish. Our concentration is now for the most part centered in spiritual areas in order to meet the challenge of coming ages.